Hello Katie Girl: Pucker Up For Valentine's Day! Pucker Up For Valentine's Day! 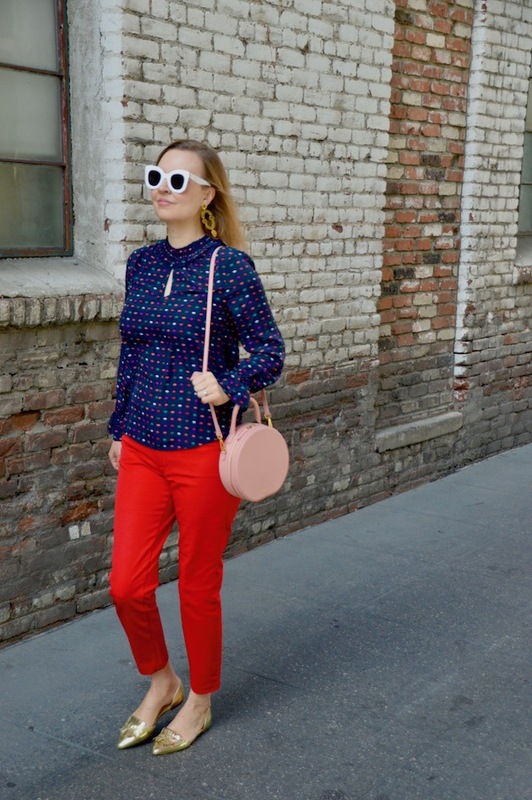 Valentine's Day is just a few days away, so that means it's time to break out all of the red, pink and heart themed items from my closet! Certainly, one can wear these types of things all year round, but it's fun to really play them up during the month of February! 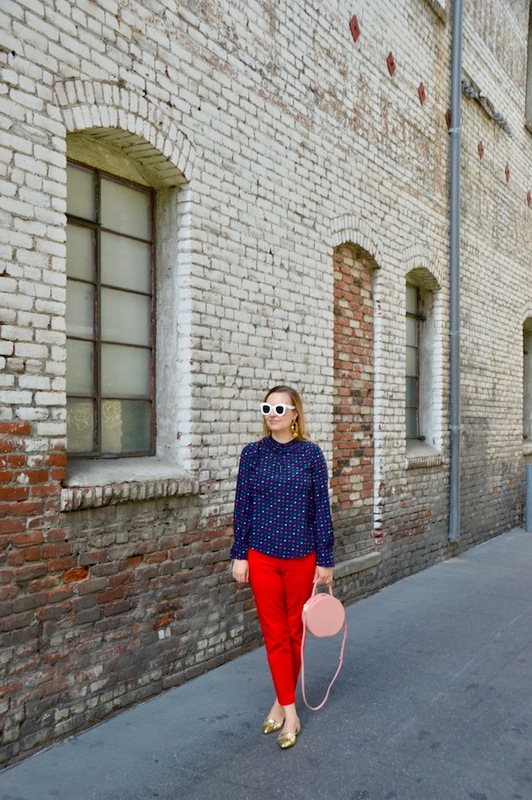 While I love anything with a cute heart print, I decided to be a little different and wear a lip print in honor of the holiday. 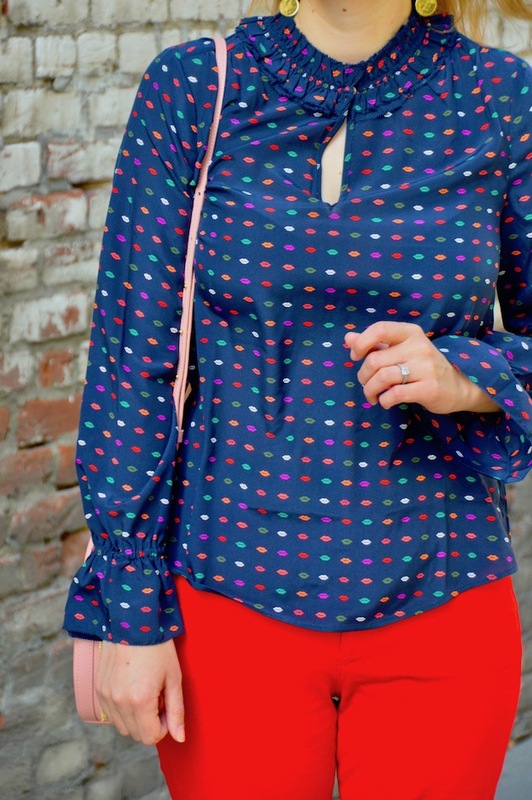 This lip print blouse from J. Crew is definitely perfect for Valentine's Day, but it could really work for any day of the year. Plus, I love that the lips aren't just your typical red and pink, but all shades of the rainbow! 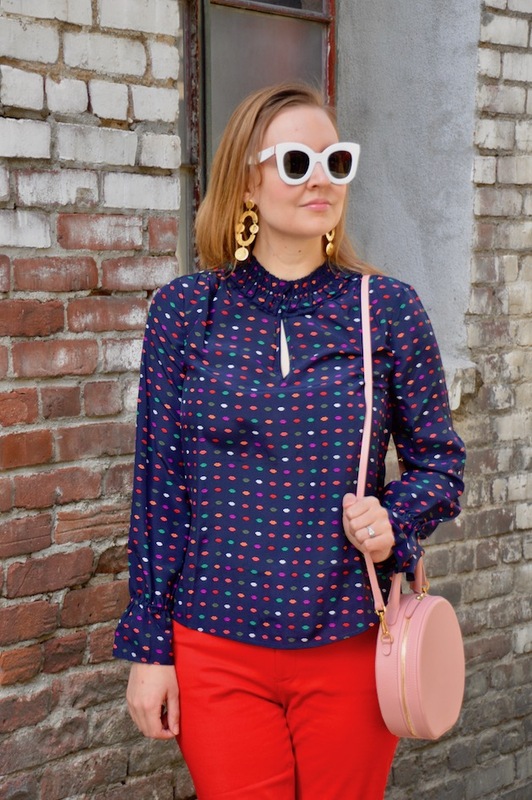 I think the first time I remember falling in love with a lip print pattern is when Prada came out with a series of lip and lipstick print skirts and dresses one spring when I was in college. I wanted these skirts or dresses so badly, but Prada couture was just a tad out of the price range of a college student at the time! I did manage to find an "inspired by" version of the aforementioned Prada lip dress at an outlet mall and that was good enough for me. Whenever I see anything with a lip print on it, it definitely takes me back to that period in my life, which isn't a bad thing because I definitely loved college. Plus, it's where I met my husband, so it's very fitting for Valentine's Day! 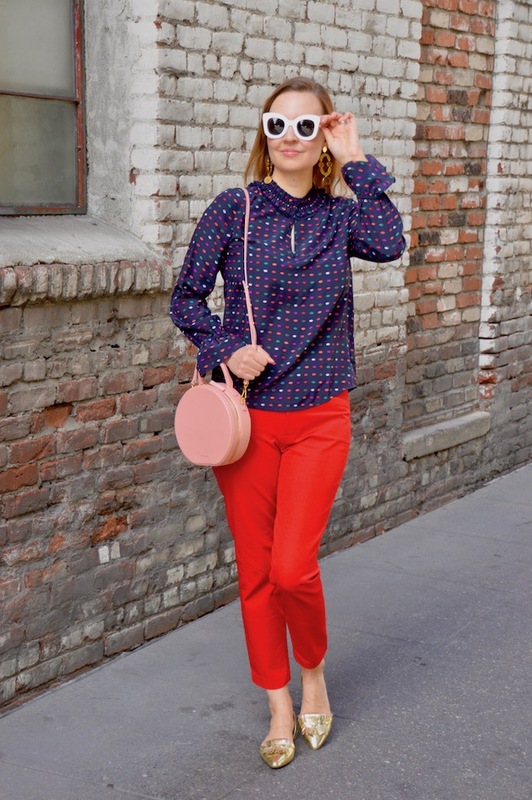 That is such a fun blouse and I love that it's lips and not hearts! 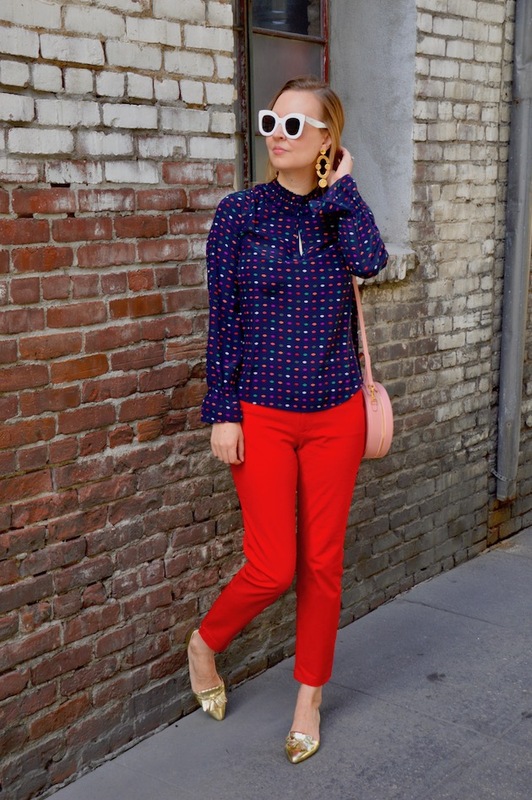 This is so cute and perfect with the red pants! what a pretty top! I love your circle bag too, so adorable in that retro pink color.